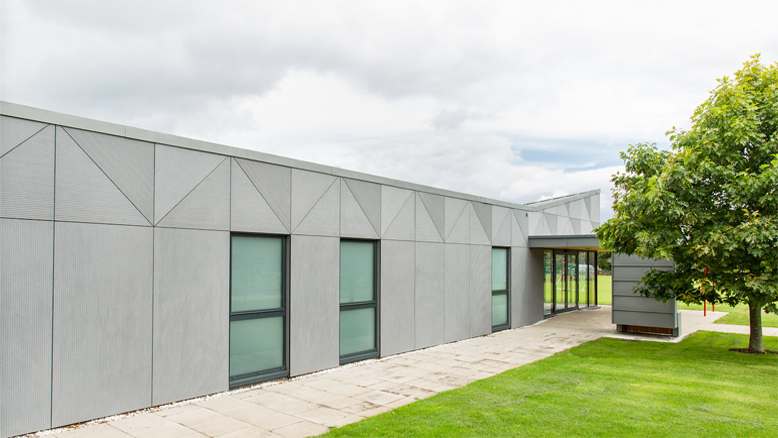 EQUITONE [linea] fibre cement facade material has created a durable, low maintenance exterior for a brand new sports pavilion in Edinburgh. The facility at St George’s School for Girls – the city’s only all-girls’ schools – has been given a crisp aesthetic by the EQUITONE facade, which displays a linear surface that highlights the raw inner texture of the core fibre cement material. 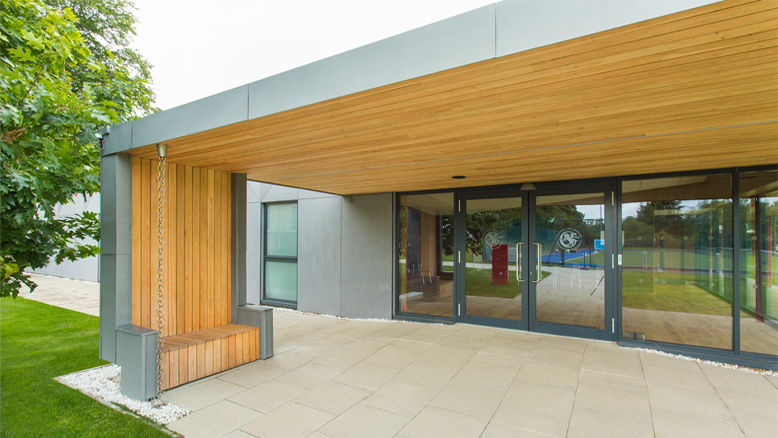 The new build facility was designed by local architects DRD Architects and is one of the first projects in Scotland to use EQUITONE [linea] in this scale. 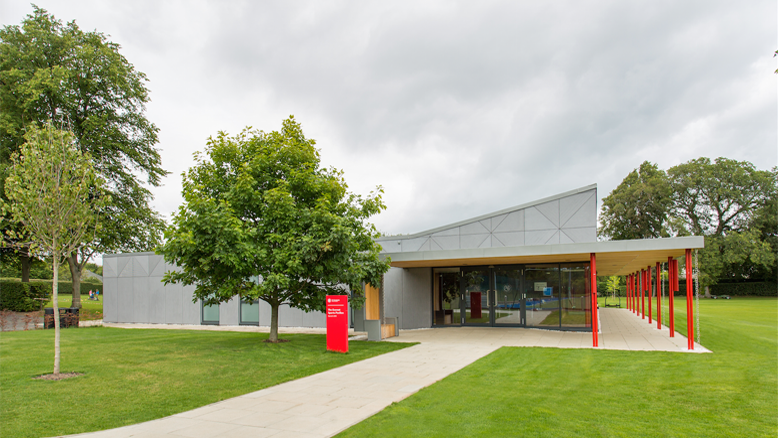 Joanna Smith, architect at DRD Architects, said: “Due to the buildings location beside sports pitches, we wanted a high-quality material that was durable and able to withstand all weathers. The school was also very keen on a finish on the building that was as low-maintenance as possible. The project used approximately 340m2 of EQUITONE [linea], and incorporates new changing facilities, ancillary accommodation, and a multi-function meeting and conference facility. Joanna added: “The overall look of the facade is very uniform and precise, yet the patterns the boards form when the light shines on them make each elevation look different and visually interesting. EQUITONE [linea] is a unique 3D shaped, through-coloured facade material that plays with light and shadow and has a life expectancy of at least 50 years and a fire classification of A2-s1, d0. All EQUITONE materials are available in a range of colours, finishes and fixing options, giving full creative scope.